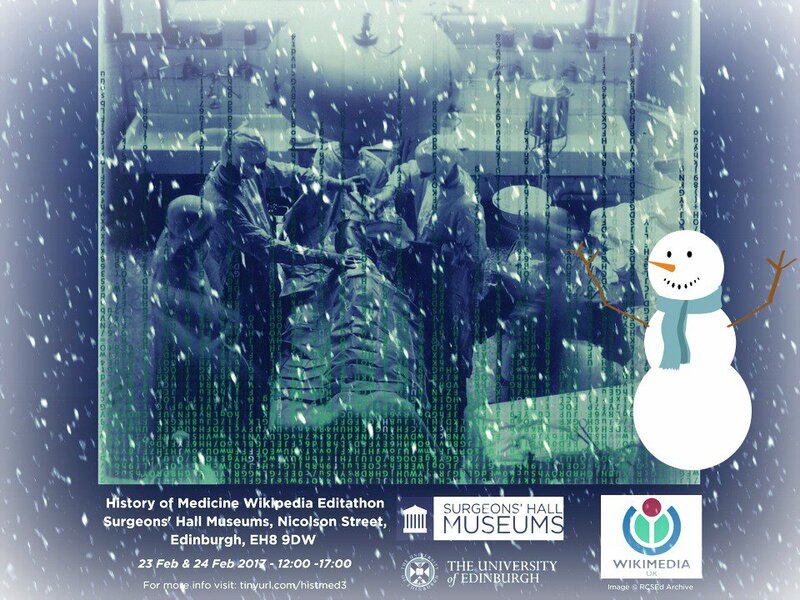 For the third year running, the University of Edinburgh’s Information Services division hosted a ‘History of Medicine’ Wikipedia event; to celebrate the lives & contributions of women in medicine, over sixty years of Nursing Studies & seventy-five years of the Polish School of Medicine. 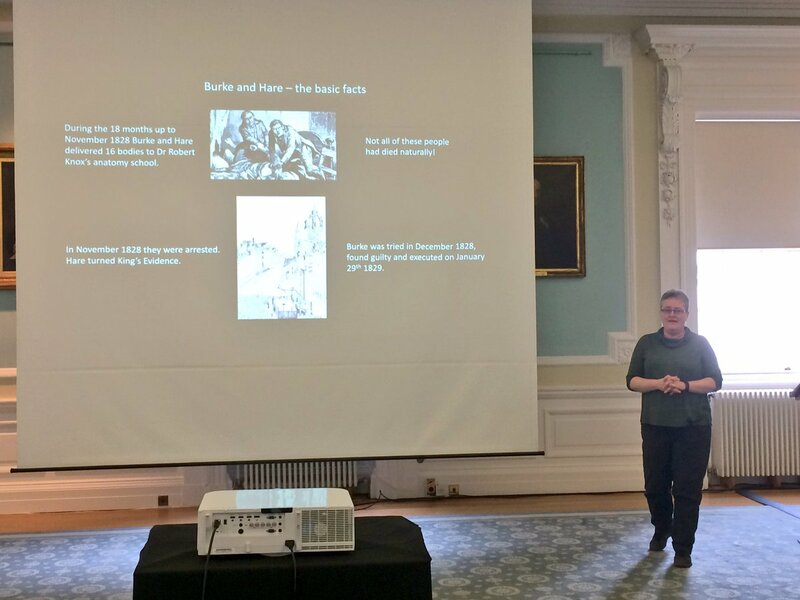 Over the course of two afternoons at the Surgeons’ Hall Museums, we unravelled myths, discovered truths, created new pages & re-wrote existing Wikipedia pages of Scotland’s famous, and infamous, medical figures including gruesome body-snatcher William Burke. Burke and Hare murders – Image added of facial reconstruction of William Burke. William Burke’s place of birth added as Orrey from his confession. Other corrections made to the article e.g. date of birth and removing the surname Croswhaite from Joseph as no citation and not found in other material. John Barclay (anatomist) – An eminent Scottish comparative anatomist, extramural teacher in anatomy, and director of the Highland Society of Scotland. New paragraph added on Barclay’s candidacy for the chair of comparative anatomy. Further information on Barclay’s Life and organisation. Leith Hospital – 21 paragraphs added. Thomas Keith (doctor) – Added Early life, photographic career, surgical career. A Victorian surgeon and amateur photographer from Scotland. He developed and improved the wax paper process and his photographs are recognised for their composition and use of shade. He was an early practitioner of the operation of ovariotomy (ovarian cystectomy) where his published results were amongst the best in the world. Scottish Women’s Hospitals for Foreign Service – Infobox added and relocated images. 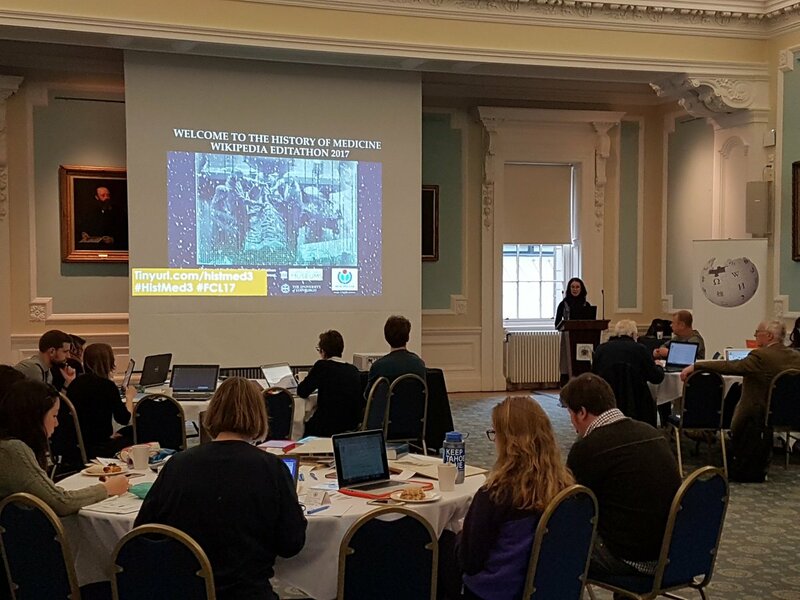 Edinburgh Pharmacopoeia – 3 paragraphs added. The Edinburgh Pharmacopoeia was a medical guide consisting of recipes and methods for making medicine. It was first published by the Royal College of Physicians of Edinburgh in 1699 as the Pharmacopoea Collegii Regii Medicorum Edimburgensium. The Edinburgh Pharmacopeia merged with the London and Dublin Pharmacopoeia’s in 1864 creating the British Pharmacopoeia. 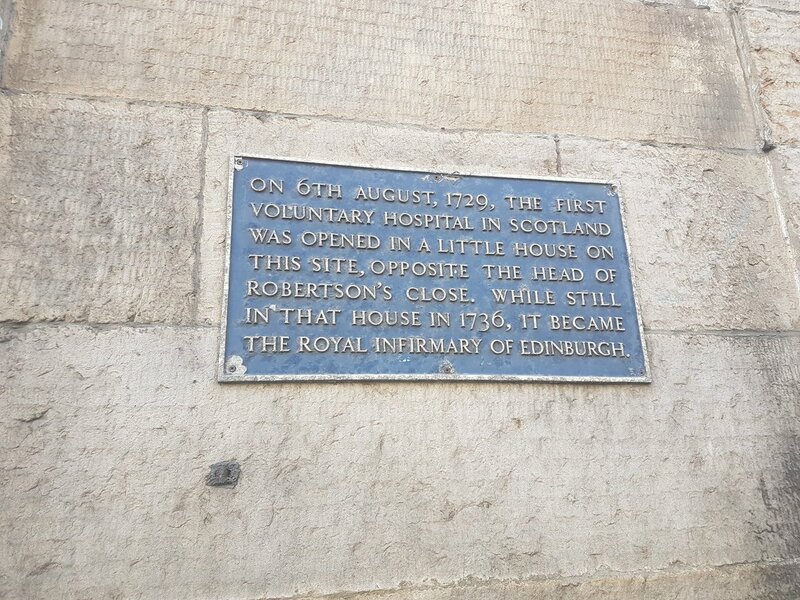 Royal Hospital for Sick Children, Edinburgh – more information about the future of the hospital added and the various buildings on the current site. Information added about the Polish School of Medicine to the article about Francis Albert Eley Crew – English animal geneticist. He was a pioneer in his field leading to Edinburgh’s place as a world leader in the science of animal genetics. He was the first Director of the Institute of Animal Breeding and the first Professor of Animal Genetics. He is said to have laid the foundations of medical genetics. Small amendments and a new Publications section added to Douglas Guthrie – Scottish medical doctor, otolaryngologist and historian of medicine. Rebecca Strong – English nurse who pioneered preliminary training for nurses. Kate Hermann – the first female neurology consultant in Scotland. Hermann, who was Jewish, left with her family from Hamburg to London in 1937, fleeing the Nazis. She then moved, in 1938, to Edinburgh to study at the Royal Infirmary under Professor Norman Dott. Anne_Ferguson (physician) – Scottish physician, clinical researcher and expert in inflammatory bowel disease. She was educated at Notre Dame School and The University of Glasgow, graduating with a first class honours degree in Physiology, and winning the Brunton Medal. In 1975 she was appointed as a Senior Lecturer at The University of Edinburgh, also becoming a Consultant at the Gastrointestinal Unit at the Western General Hospital in Edinburgh. In 1987 she was appointed to a personal professorship in gastroenterology, and was honoured by election as a Fellow to the Royal Society of Edinburgh in 1990. Ethel Moir – WW1 nurse with the Scottish Women’s Hospitals for Foreign Service. The Polish School of Medicine – Terrific new illustrated 2200 word article. Henryk Podlewski – Polish doctor who completed his studies at the Polish School of Medicine at the University of Edinburgh during World War II and became the first Psychiatrist to practice in the Bahamas. Nancy Loudon – Scottish gynaecologist. She devoted her professional life to pioneering and ensuring provision of family planning and well woman services. As such she was a fore-runner in what is now the specialty of ‘community gynaecology’. This article is now translated on to the Italian Wikipedia. Krystyna Magdalena Munk – a Polish doctor who completed her studies at the Polish School of Medicine at the University of Edinburgh during World War II. Elizabeth Wilson (doctor) – Family Planning Doctor and Right-to-Die campaigner. She founded the 408 Clinic, and FATE (Friends at the End) in 2000. Gweduni added Thomas Jehu‘s PhD thesis to Wikisource, the free content library, and proofread all 31 out of 31 OCR-ed pages. 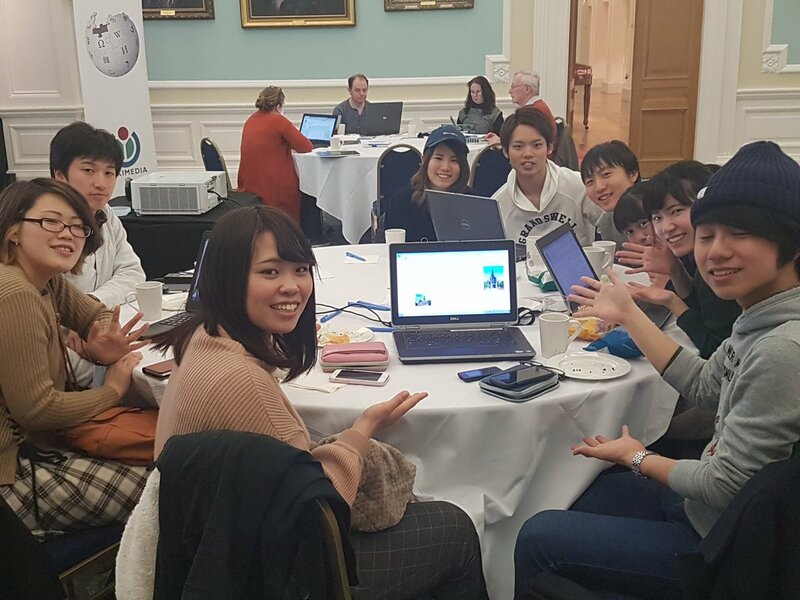 Glasgow Cathedral has been translated to Japanese Wikipedia. Brown dog affair has been translated to Japanese Wikipedia. Refrigerator death has been translated to Japanese Wikipedia. Gomphus clavatus has been translated to Japanese Wikipedia. And this was all despite Storm Doris trying to throw a spanner in the works!